Quote: Originally Posted by Bah ; Dear Dr. Lindemann, You state the above as if it were an arbitrarily-discovered characteristic of a certain type of motor. The relationship between Watts and Horsepower is by definition of the units themselves and has nothing to do with any particular machine. Is it your intention to confuse the reader or are you really that confused yourself? No matter the machine, the efficiency, whatever…a Horsepower is 746W…they are two different units used for expressing power and have a fixed constant relationship like feet and inches, grams and ounces, etc. Your statement is very odd and could be rather confusing to the uneducated. Dear Bah, Actually, you are confused. A Horse Power is 550 foot-pounds of mechanical work per second. The unit was invented to rate steam engines when they first appeared, so people could understand how many horses the engine would replace for hauling loads. It is generally believed that 746 watts of electricity is EQUIVALENT to a horse power, but electricity itself does not perform physical work and therefore must be CONVERTED into mechanical energy using some APPLIANCE, such as an electric motor. It is taught (incorrectly) that an electric motor CONVERTS electricity into mechanical energy at the RATE of 746 watts = 550 ft-lbs/sec minus any losses in heat. I concede to you that commercially available motors seem to behave this way, but a close observation of these phenomena does not support this conclusion. Everyone in this forum is well aware of the Laws of Thermodynamics and their apparent limitations. Michael Faraday’s direct induction experiment and all of the motors and generators that are derived from this geometry work equally well as either a motor or a generator. In fact, they ALWAYS work as BOTH a motor and a generator, and these functions operate in opposition to each other. This is the limiting factor in these designs. I demonstrate this in detail in my DVD Electric Motor Secrets. 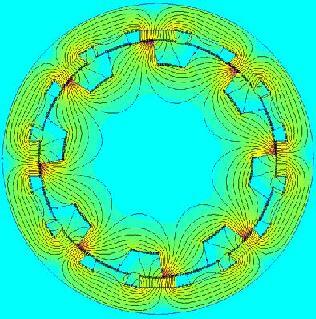 By using a different geometry that specifically avoids the arrangement of moving current carrying conductors through magnetic fields, it is possible to build an electric motor that DOES NOT generate any counter effects. The operational efficiencies of these motors can exceed the generally believed limitations of the conversion rates you state. Dear FE Student, Thanks for joining the forum. Here are some answers to your questions. 1) The Rotary Attraction Motor and the Teal Solenoid Engine both work on the principle of a single electro-magnet attracting a piece of iron to produce mechanical energy. 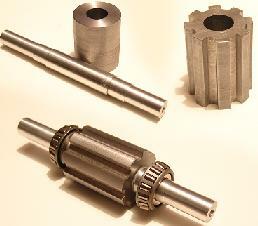 Only exhaustive experimentation will determine which design geometry is superior for the production of torque. One way or the other, the rotary designs have fewer parts and lower friction and these advantages may still make them more desirable in the long run. 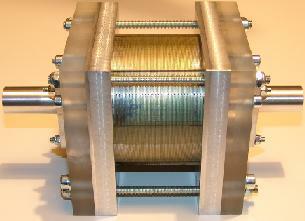 2) The solenoid and its surrounding keeper must be made of a material that conducts magnetism AND releases its magnetization when the field is removed. The simplest material to use is Cast Iron, although a wide variety of materials can be used. Teflon, Nylon and aluminum are not useful here to define the magnetic circuit, but may be useful to create supporting structures and guide ways. 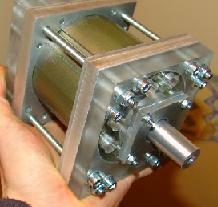 3) Yes, Switched Reluctance Motors are the most efficient electric motors available today. They already operate on the magnetic attraction principle and may be able to be converted to operate with some electrical recovery as well. 4) Teal did use very sharp, strong pulses. The high efficiency window of operation will be with magnetic field strengths below saturation of the piston/keeper system. 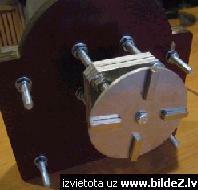 5) The efficiency of the solenoid engine in the DVD was not measured because it is low. I have measured it and it is about 25%. The point of that demonstration was to show a motor with No Back EMF. # 213 ; by Peter Lindemann, Senior Member, 09-29-2007, 12:49 AM ; Learning curve…. Dear Jetijs, There is no specific wire size recommendation. Smaller wire size, such as AWG 21 will work just fine. You will find that with that wire you may have to use higher voltages to get enough current through, but you will have more turns on your coil. The total Ampere-Turns is the field strength so there is always a trade-off. The coils with more turns will have a slower rise-time because they will have more counter EMF. You are not going to be able to build a “final model” right away. You will have to experiment and learn. Elias, This is a great quote. You see, once in a while, in the old books, you’d find an HONEST author who would admit that actually measuring and calculating “energy conversions” doesn’t work. I love the author’s term here, that it gives “a low degree of accuracy.” Then he says that invoking the “Law of Conservation” is simply used as a cover story! Its like saying that the REAL answer is so complicated to calculate, that everyone should forget about it and go with the IMAGINARY answer. Its always fun to find it in print. Jetijs, This looks very good. Here are a few suggestions for your next steps.Consider sandwiching the X rotor between two plastic wheels. This will help keep your fingers out of the assembly when it is running, and give you a greater width to mount to the shaft. This will help maintain a perfectly perpendicular mounting. A stepped flange can be left on both plastic wheels so a set screw can be used to tighten the rotor to the shaft. I do not recommend a “press fit” of the X onto the rotor. In a prototype like this, everything should be left adjustable. 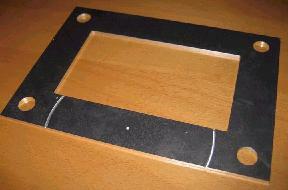 Next, create a plastic frame at the back of the stator to hold the wire coil in place. As the coil is wound, it needs to be supported. I’ve got some systems like this. I’ll try to get some pictures posted to show you what I mean. Keep up the great work. # 237 ; by Peter Lindemann, Senior Member, 10-13-2007, 12:30 AM ; TRUE, but…..
Quote: Originally Posted by adam ant ; if each of the “X” arms had its own coil, and a commutator was set to engage each arm (in turn) with the stator, there would be MASSIVE amounts of torque generated in this, all from one little “spike”. Bryan, It’s true that the torque can be increased with coils on the rotor, but then you have TWO MAGNETIC FIELDS interacting with each other, creating cross inductions, and the dreaded “BACK EMF”. At that point, you have a conventional motor again. The simplest way to avoid this is to only use one magnetic field at a time. The “power-to-weight” ratio of the motor is a little lower, but the over-all efficiency is higher, and the COP is much higher. but i see that the BEMF still wouldnt be stopped from travelling back through the innitial trigger wire… hmmm could diodes be used to block BEMF or deflect it backwards? sorry, im thinking outloud. sometimes i sit and stare at my motors for hours, taking them apart, marking them with pencils, reassembling them, turning them on and off… until ideas pop into my head. i want to make 100% sure of what i intend to do before i start altering this motor… it is the only one i have. if i had money, i could test each of these ideas, but i don’t . thanks for the explanation. # 242 ; by Peter Lindemann, Senior Member, 10-18-2007, 12:44 AM ; Pictures Coming…. Jetijs, Last week I promised some pictures of my coil cores. As it turns out, I just happened to be rewinding my coils with a larger gauge wire, so I could take a new picture with the core both empty and full of wire. I have sent the pictures over to Aaron and he will post them here shortly. This coil is about 250 turns of #12 AWG (similar to 2mm wire). I hope you understand. The upper startor plates are closer to each other by about 0.2mm. 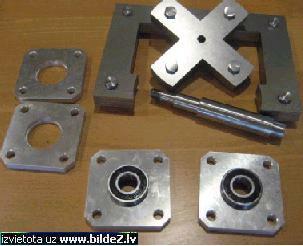 This means that the top rotor plates will be closer to the startor piece than the bottom ones. This is not good and I have to figure out how to deal with it, because they cant do the lathe work if the startor isn’t right and they do not have the equipment to fix the startor. I already have some thoughts, but this will take time. Jetijs, The machining operation to fix your stator piece involves clamping it in a vise between two large blocks of aluminum for extra support, and then using a vertical mill with a boring head in it. 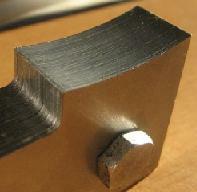 The diameter of the cut can be dialed out slowly .0005″ at a time. Extremely precise corrections can be made. Support the stator pieces as much as possible because the milling operation is an “interrupted cut.” The set-up is the most difficult. 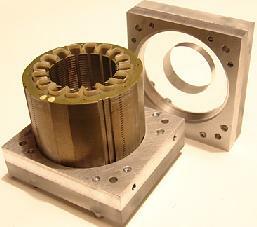 Mounting the stator piece in the vice and then finding the exact center to begin the milling operation. The actual cut should take about 5 minutes. The set-up may take an hour. MOT = Microwave Oven Transformer. I finnaly solved the |==/ ==| problem. I did it just like Peter said. The hardest part was to locate the exact center of the circle (you can see that I was a tinny little bit off the centre, but that wont affect anything). When I found the centre then I just made my cnc mill rotate the grinding tool in circles, each time with a tinny little bit greater diameter, till I got a smooth finish. I think that somewhere around next week I will be ready to assemble the whole thing. Then there will be only the coil winding left and the circuit part. Steven, This motor looks very good. Now that I see the magnetic graph in the last image and see how you plan to run it, this could be extremely excellent. Just make sure you leave enough time for the stator field to fully collapse, and recover all of that electricity, before you turn the next set of coils on. If you do this, your motor should really perform well and prove out everything I have been saying on my DVD. Keeping the gaps as small as you have them will produce very large torques. You can clearly see the more you put on the back end, the less is taken from the input. Quote: Originally Posted by nali2001.Good videos! Nice and clear explanation. This will give the starter a good general idea what this is all about. Steven, The magnetic reed does NOT just produce a fixed pulse. It stays on as long as the magnet on the wheel is in range. This means the “ON TIME” to “OFF TIME” ratio is the same regardless of speed! So, that does not cause the motor to draw more current at slower speeds, since the “Duty-Cycle” or percentage of “ON TIME” is always the same. The point of these motors is NOT to make them as powerful (mechanically) as possible! The point is to make them operate in a special window, to make them as EFFICIENT as possible, which means to harvest as much FREE MECHANICAL ENERGY as you can while still recovering the maximum electrical energy. The machine is a “balancing act” between the two outputs, as can be seen in the new videos. Tweeking the machine into this window will NOT make it produce its maximum possible mechanical energy. It will make it produce its maximum COP. Quote : Originally Posted by sykavy. Hi Peter, Great videos!! Congrads! to Aaron too. I understand the demonstration is for illustration only but now I’m a little confused, please forgive me if I’m not understanding well, are you saying if we scaled up bigger this motor with stronger torque ( say for a scooter) we wouldn’t be able to recover the energy to the second battery? Quote: Originally Posted by Jetijs. Nice Peter. I am sure that this is only the beginning. I am almost done all the mechanical stuff, there are some some minor things I have to take care of. I will post pictures tomorrow. Meanwhile I have some questions for you. Will they work properly? Have you considered using hall switches? 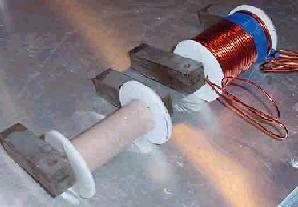 Jetijs, I have used the exact type of Reed Switch you show in this picture in a motor I built 5 years ago. It had two of these reed switches firing two different circuits through the same coils in opposite directions, alternately, twice per revolution. The motor was capable of 11,000 RPM and was run at that speed often. Each of the two reeds were switching cleanly and discretely (with no over-lap) 400 times a second. These devices outperformed my wildest expectations! They must be operated in a section of the circuit that has no inductive characteristics to prevent arching at the contactor. My current demonstrator uses the magnetic reed in just such a configuration (operating a voltage divider bridge) and has never malfunctioned. The reason I chose these devices is that they do not require any power to operate. Both Hall-Effect circuits and Opto-Interrupter circuits require continuous “stand-by” current. While I agree that more complex circuits may benefit from optical commutation, your single coil with an X rotor will run very well on the magnetic reed as the control device. The “trick” is to set up the physical spacing between the magnets and the reed to get the proper On/Off timing. Don’t be surprised if it takes an hour or more to tweek this into perfect operation. @Jetijs and @nali2001: I didn’t know it’s so hard to get the transformer silicone steel. It’s extremely cheap here and easily obtainable and I used it many times for various purposes. Some of the forms I made were quite complex but as you know it can easily be cut by water and laser (depending on the required precision and the thickness of silicone steel plate). These days I prefer to use the Mu-Metal cores but I rarely do because the material is rather expensive. @Peter Lindemann: Reed switches are a great little component but they do suffer from slow turn-on times and slow turn-off times (a few orders of magnitude longer periods in comparison to semiconductor devices). Fast turn-on and turn-off periods are useful in more than one way and especially if you’re into energy recycling. As for the bias currents, they’re extremely low- for example an optical switch with three stages of level adjustment and logic control consumes about 30mA at 12V -> 0.36W. In comparison to the overall consumption of any motor it’s negligible. That being said- I do recognize that reed switches are much simpler to work with and probably the best choice for fast and simple experiments. I’m from Croatia. The transformer silicone steel is cheap but I’m not sure how much would shipping cost since the steel is heavy as hell. As for the Mu-Metal we get it from Germany. Of course the insulation would reduce the total count of the windings, but that is what is available here. I could order some magnet wire form ebay, but that would take weeks to deliver and would be more expensive. I don’t see why i could not use such a cable instead of a magnet wire. What do you think? Thank’s. Jetijs. Jetijs, If you have the #21 wire, just start with that. Wire with normal insulation on it just takes up too much space, and does not cool very well, either. Start with 250 turns of #21 and see how it runs. If it seems speed limited, remove 50 turns and test again. An alternate idea is to wind two or three coils (bifilar or trifilar) with about 100 turns each and then switch them in parallel, running each winding with its own transistor. I do not recommend spending more money on Mu Metal or other wire at this point. Get the motor running with what you have. # 280 ; by Peter Lindemann, Senior Member, 10-28-2007, 05:33 AM ; Clarification, Please…. Quote: Originally Posted by lighty # 279. I beg to differ. 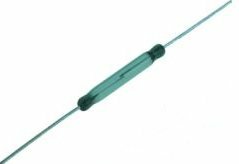 The turn-off time of reed switch is several orders of magnitude longer than with any semiconductor. Since the inductive collapse voltage amplitude is a directly dependent on the shortness of that time it is very important to reduce that time as much as possible. Actually I compared the results when using a relay or reed switch and MOSFET. With the same current passing through the coil and the same core saturation level the inductive collapse voltage controlled with MOSFET was about 15-20% higher in comparison with electromechanical interrupters. Now, if one is into recycling the energy of the inductive collapse then one should consider using the semiconductor switches because for the same amount of current one could get back much more energy out of a coil. Of course the suddenness of the collapse is depending on a hysteresis loop of a core etc. Lighty, In the tests you refer to above, are you comparing the turn off time of a MOSFET carrying current and a large relay contactor carrying current? Quote: Originally Posted by lighty # 281. Ahhh, now I understand correctly. Well in that case, yup, reed switch should me more than enough for the experimental purposes. I’m just not sure about the oscillation of the triggering signal and if any debouncing is needed, although I suppose if the trigger threshold od MOSFET is high enough that shouldn’t represent any problem whatsoever. Oh, and Peter, I do appreciate your efforts and patience! You can see that the little magnetic reed is just connecting and disconnecting the voltage divider section of the circuit. Plus, when the reed shuts off, the resistor R2 is still connected from the emitter to the base of the transistor, so the transistor shuts off quickly. I was speaking with a friend about the electric recovery to the second battery. He said that the attraction motor has the advantage of using less electricity because if you tried to recover the spike from a normal electric motor you would probably blow the batery up. The attraction motor also stays at the same level of input while the normal electric motors vary up and down making recovery very complicated. Does this sound right? # 287 ; by Peter Lindemann, Senior Member, 11-02-2007, 04:46 AM ; Awesome Work!!! Jetijs, Excellent work. Thanks for the picture. This machine will allow you to test a wide variety of the principles in my DVD. With the air-gap at 0.3mm per side (0.0118″) your total air-gap will be 0.6mm (0.0236″) or very similar to the little demo motor I have here, so you will not be able to see high torque production. No problem, just keep going and finish it. Its a great start for your research efforts and learning. # 291 ; by Peter Lindemann, Senior Member, 11-04-2007, 12:13 AM ; Commutator magnets will fly…..
Jetijs, As usual, your workmanship is excellent. I will caution you, however, on the design of your commutator wheel. Your motor will be capable of very high speeds. I assume your little magnets are glued onto the aluminum wheel. At some speed, the glue WILL fail, and you will embed one or more magnets in a wall, ceiling, or your head! Please consider mechanical restraint. Peter, what if I make a second disc with grooves for magnets and glue it on the other side of the magnets? 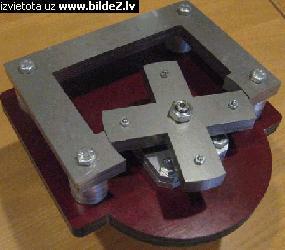 This way the magnets will be gluded between those two plates, and also pressed together with the screw. I used a strong epoxy designet to glue together metal. I think this should work. But I have also been thinking about the size of the magnets. These are the smallest ones I have. I will try to use them and see how it goes, If they are too strong, I will gave to get some smaller ones. Also for timing adjustment I was going to use a simple relay. I will attach the relay to the reedswitch so that it makes a clicking sound when a magnet passes by. Thanks. Simply add a thin layer of mylar or some similar non-magnetic, non-elastic, strong material. Glue it with epoxy adhesive along the circumference to cover the magnets and it will hold your magnets 100% no matter how fast you spin them (I tried that configuration long time ago and it works on high speed constructions). Since the magnets are quite powerful you could also remake discs and leave a 1-2mm of material at the outer end of the groove to hold the magnets. That also works flawlessly. The third option would be to use the optical switch as I suggested earlier since with it it would be much easier to have a lighter disc made out of some polymer and would be much more versatile in shortening or lengthening the switch-on and switch-off times. BTW- that’s a beautiful craftsmanship. Last year I made some working models of Tesla’s devices (Tesla turbine, Tesla induction motor, big Tesla transformer and a huge model of Tesla’s Egg of Columbus) for the Tesla’s Memorial Center in Smiljan and I thought the technical problems would never end. Especially when all the parts should work as well as look good and antique. That thought me to appreciate this kind of stuff. Great work Jetijs!!! Great work indeed! Oh, and am I mistaking or did you use the SW for the CAD modeling? P.S. : Could you give me the rough estimate of the dimensions of your construction so that I can ask my supplier how much would silicone steel sheets cost (a rather minimal price I should say) and maybe arrange some kind of cheap transport to Latvia? Usually I wouldn’t go to such length to help people I don’t know well but you’re one of the rare people that I see to do practical work and actually know what you’re doing from the engineering point of view. Jetijs, you can easily use liquid resin and dunk the whole thing into it. when it dries it is a very hard, very strong plastic that should hold up to any speeds you can throw at it. i have resin experience with making molds and such, and they also use them in off-roading ignitions. (water proof it) if it turns out too think, shaving it is very simple, and if it is too thin, multiple coats are also easy. you can get a quart for around $10 us.